Thirty years ago Aalt Baatje never would have thought that in 2015 he would be growing lamb’s lettuce. At the time he was far too busy with his earthworks company, expanding from two to thirty employees. 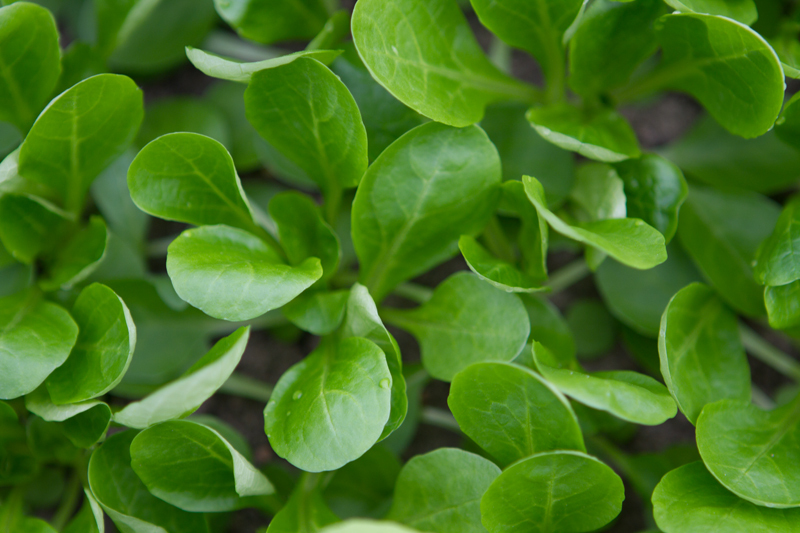 However, today, due to Baatje’s enthusiastic leadership, Milieukeur lamb’s lettuce is grown in the rented greenhouses. Baatje has always liked to do something on the side. “Furthermore, my sons have joined the earthworks company and now I want them to be able to go their own way. That is why, at the time I started growing radish and lamb’s lettuce in greenhouses I rented. This soon proved to be a success. 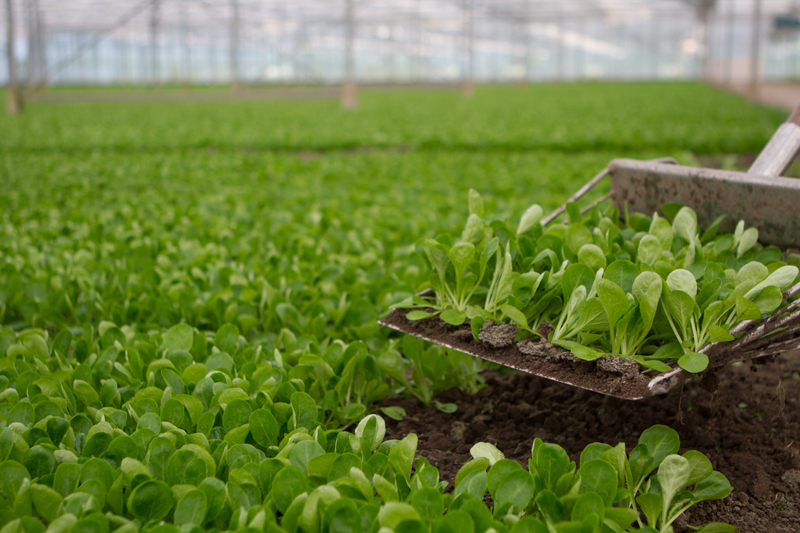 Dutch supermarkets want to be able to offer lamb’s lettuce year-round, provided that it is certified cultivation. Over the last few years my cultivation thus expanded from five to ten hectares”. “Two years ago, together with my trading partner Versland, I started to investigate whether we could qualify for Milieukeur”, says Baatje. 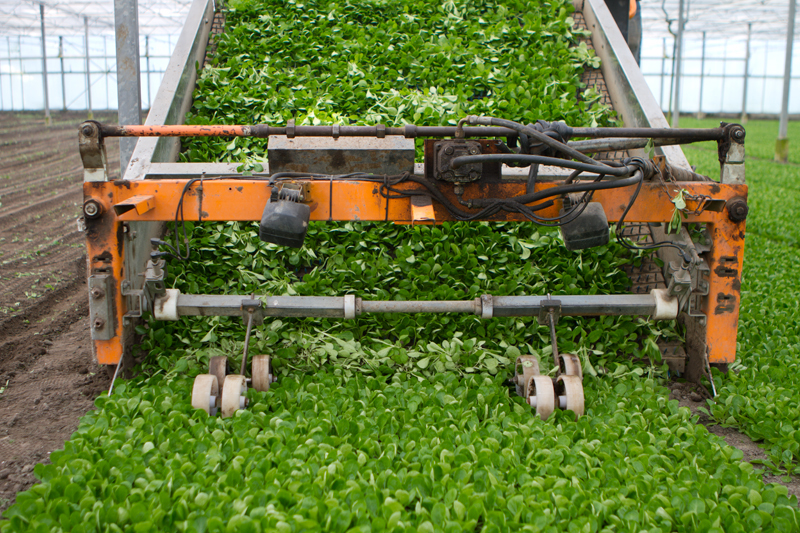 “They were asked by Jumbo, via vegetable cutting company Hessing, about suppliers who could deliver lamb’s lettuce year-round. 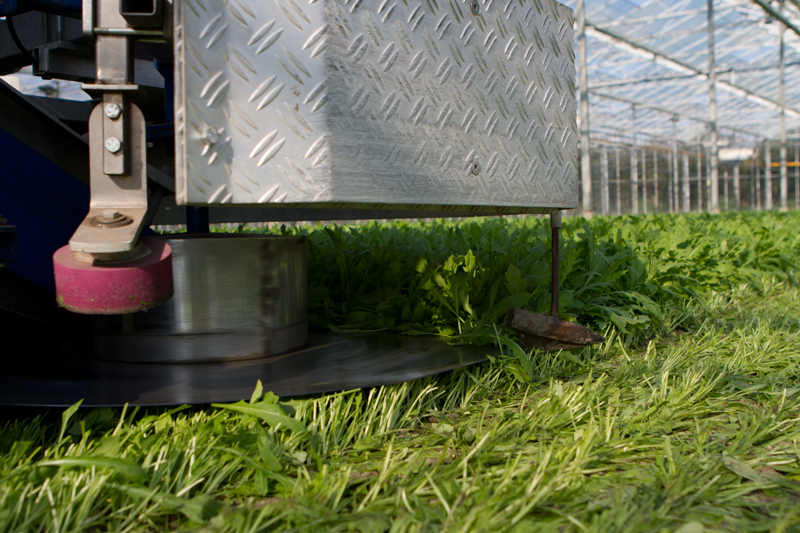 At the time, there was not any greenhouse lamb’s lettuce grower in The Netherlands, holding a Milieukeur certificate. After consultation with SMK and the certifying institution CGD, I decided to opt for Milieukeur. It has worked out, which I am proud of and happy with. Initially certification was difficult for Baatje. “I used to think sometimes: ‘what am I doing?’. But the longer you are involved, the easier it gets. You just need to register a lot and find sensible ways of using pesticides, energy, water and fertilizers. That is why at the time I asked for advice from my suppliers. They usually know what is necessary to meet certain requirements. As such, I now use a phosphate-free mixture of fertilizers that works excellently. Furthermore it is not too complicated for me: we use no lighting, nor a lot of heating. As long as we can keep frost-free during winter, it suffices. That is also why the crop is fairly hard and we need little fertilizer”. Baatje thinks that the Milieukeur certificate is a significant addition to the management. “You notice that consumers are more aware of what they want to eat and by means of the Milieurkeur you can prove that you grow more sustainably. That is why the certificate ensures you are ahead of the competition. As sustainability is a trend now, I can imagine that cultivation without harming the environment will be mandatory for everyone in the long term. I believe in a prosperous future for my lamb’s lettuce. It is an easy-to-prepare vegetable for which there is great demand. There will always be demand for good, clean and verified products. That is what I believe”.